Anthony Bourdain has been doing the same thing for a long time now—he’s just gotten better at it. 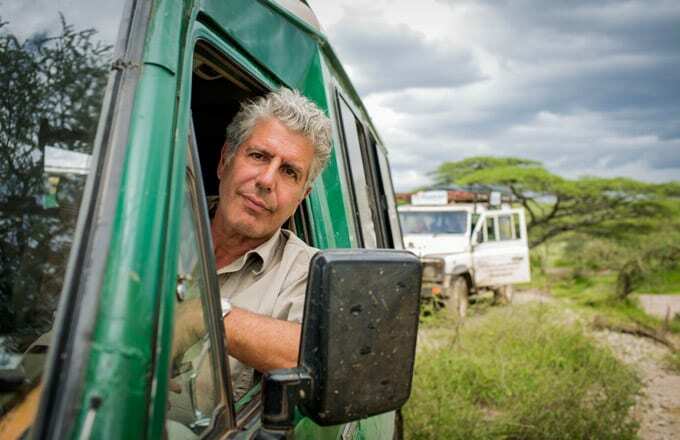 Parts Unknown may not have the same sense of discovery as early seasons of No Reservations, but what it lacks in novelty it makes up for with Bourdain's world-weary, ever-sharpening journalistic instincts. Bourdain has always been interested in great filmmakers, and Parts Unknown's fourth season may be his most successful attempt yet to recreate the visual style of some of the people he most admires most. "Shanghai" is an homage to In the Mood For Love director Wong Kar-Wai, with its moody portrayal of a city whose street vendors and billionaires glow under the same neon lights. "Massachusetts," on the other hand, was a both an intensely personal episode about Bourdain's youth as a Cape Cod cook and a spotlight on America's current opiate and heroin crisis. Bourdain, a recovering heroin addict himself, is the perfect storyteller for the still-ignored problem facing rural Massachusetts and many other middle class neighborhoods.